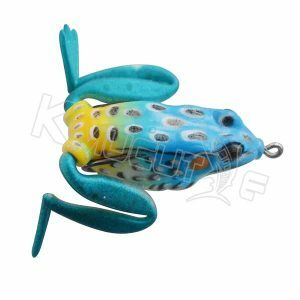 Kmucutie Fishing Tackle supply hundreds of models and colors frog baits, mouse lures and soft bird lures, quality BASF material with strong hooks, lifelike real frogs, to achieve great fishing effect. So they could be called bass killer. 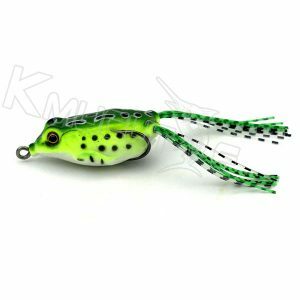 The kmucutie frog baits are popular in market, based our quality and professional service. Welcome to contact us for more information, and to find your prefered baits. 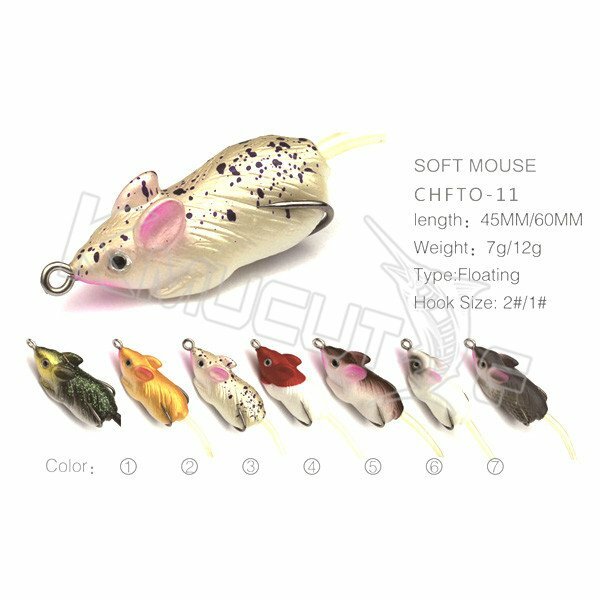 Mice are native to most areas, and can often be found foraging for food along shorelines and on floating vegetation – putting them in constant contact with hungry, opportunistic bass. Many eye-catching colors to choose. The minimun quantity depends on different models, please contact me for details. 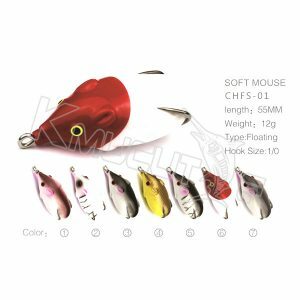 Whether you are owner of fishing tackle shop, distributors, wholesalers or fishing tackle company, we will supply you suitable products and service. 50% orders from our regular customers, thanks for trust from you! Join email list : click here !